Greg Barbee is a partner in the Government Contracts, Investigations & International Trade Practice Group in the firm's Los Angeles office. Greg specializes in commercial litigation, with an emphasis on general business disputes and intellectual property. 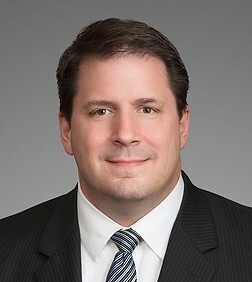 In the general business context, Greg has represented businesses and individuals in litigation and arbitrations related to contractual disputes, business torts, real estate, the entertainment industry and government contracts. Greg's intellectual property expertise includes patent, trademark, trade dress, trade secret, unfair competition, computer, Internet and domain name litigation and arbitrations. In the government contracts area, Greg provides compliance program advice and counsel and conducts investigations concerning the Foreign Corrupt Practices Act (FCPA) and the False Claims Act (FCA). He is also an editor of the 2016 Cloud Computing Legal Deskbook (Thomson Reuters), an annual publication addressing cloud computing issues and solutions for commercial and government end users and suppliers. Mr. Barbee successfully defended a transportation company in a putative class action. The court dismissed the case and granted our client's Anti-SLAPP motion, awarding our client attorney's fees. The case settled on appeal. Mr. Barbee was Lead Trial Counsel representing a telecommunications company defending against a putative class action related to a partnership and royalty dispute. The putative class action settled favorably. Mr. Barbee represented the same company in several patent infringement lawsuits brought by the company (all of which also settled favorably, before and after trial), and in a prior dispute by another partner. Mr. Barbee currently represents an aircraft part manufacturer accused of patent infringement. In 2007, Mr. Barbee tried a real estate dispute seeking the return of a $6 million parcel from a trustee. The claims for breach of contract, breach of fiduciary duty and fraud were all decided in our client's favor, and the parcel was returned. Mr. Barbee represented Avery Dennison Corporation in several patent suits related to infringement by competitors. The suits settled favorably. Mr. Barbee was Lead Trial Counsel on behalf of Northrop Grumman in case brought by one of Northrop Grumman's subcontractors, Merit Engineering, for breach of contract, conversion, unfair business practices, interference with contract and fraud. After a series of favorable rulings on various motions, the case settled while Merit was in the process of appealing those rulings. Mr. Barbee was Lead Trial Counsel in a case brought by Hi-Rel Connectors against, among others, Northrop Grumman, alleging trade secret misappropriation and breach of contract. The case settled on favorable terms on the eve of trial. Mr. Barbee represented Buena Vista Home Entertainment in case against Blockbuster Inc. related to the distribution of BVHE's videocassettes. After the Court awarded BVHE summary adjudication on the issue of the validity and enforceability of the parties' contract, and specifically the liquidated damages clause therein (covering approximately $39 million in damages), the case settled favorably. Mr. Barbee successfully represented the Societe des Bains de Mer et des Etrangers a Monaco in a trademark dispute against a cybersquatter. The parties submitted cross-motions for summary judgment, and the Eastern District of Virginia found SBM's mark valid and infringed; the Court ordered return of the infringing domain names. The Fourth Circuit affirmed the judgment. Mr. Barbee participated in a three-month jury trial successfully defending Avery Dennison Corporation against claims of trade secret misappropriation and unfair competition. Mr. Barbee represented Suissa Miller in breach of contract and declaratory relief claims against and by Beech-Nut Nutrition Corporation. After a three-day court trial, the United States District Court for the Central District of California found for Suissa Miller and entered a judgment awarding Suissa Miller its contractual damages. Mr. Barbee advised a credit card company accused of patent infringement by a competitor and procured a favorable settlement.